(03.11.2013, 18:07)Jomark911 schrieb: service center in germany? Hi John, congrats for the SR 929. Thanks tom i will check and contact him. ...sucht jemand 'nen Sansui für's Auto...? Unfortunately i missed a 929 on ebay , it went up to 750$. There is another one , mint , but the price is stellar 1195$. Made an offer for 880$ but seller declined. What is going on every time with 929 , that comes for sale? ...ultra rare in Germany - you maybe see one or two a year showing up on ebay - prices are pretty much the same here. Now stop that torture with the vintageknob , i know it. I have to find a way to not to look at it. I feel like i'm going crazy, till mine gets here. They send me a mail that they have it in their warehouse and will begin packing. Funny it took them one week to get it from inside japan . My photobucket , take a look , to see my toys. I think it's easier than copy paste links from it. If you are talking about the box with the two power meters, it's two BA 3000 POWER METERS housed on a diy metal box, made by a mechanic specially for me , on my specs, i did the power supply , speaker level inputs, and internal led lighting in the instruments. 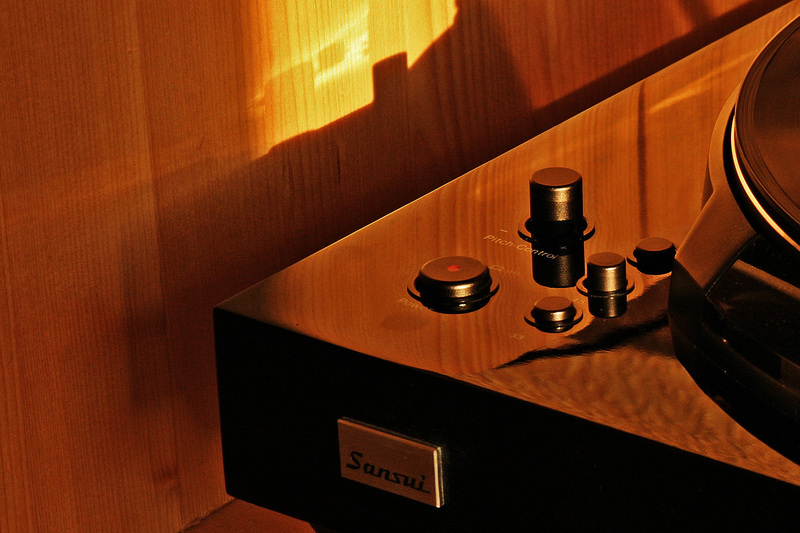 Finally i glued the SANSUI logo i had bought from ebay. 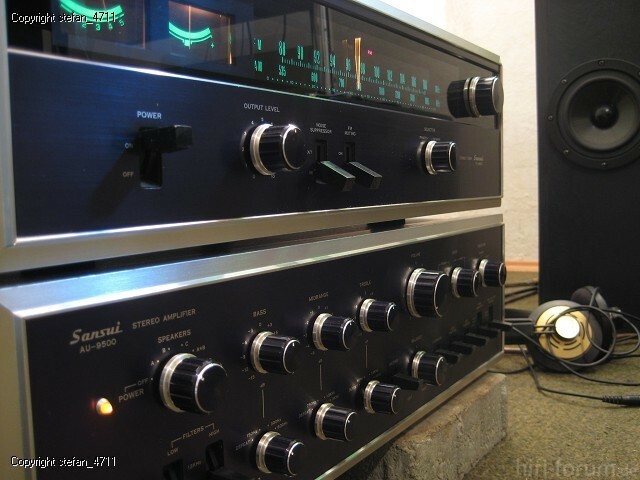 Funny thing , back in 1993 when i ordered two instruments , sansui only send one. Later i found out that we had two driver boards for these instruments , and i bought them both. I suppose i was foreseeing the probable buy in the future of another power meter. If i ever decide to sell it i will contact you , since this is the only one in the world. Hehe c 2301 is the latest add on in my system. Had b 2301 since january i think , and bought this on march i think. It took nearly 3 months to get it in my hands. But the latest addition well in the Big G system are the corals that accompany G 22000. I'm at a loss of words. ...noch nie gesehen , diese Monitor-Consolette - Danke , Mathias...!! While i don't understand what deubi post , except the photo and the meaning , i can assure you guys this is the one and only pure power meter , while the one posted from hifi1991 , is a line power meter. Mine is based on BA 3000 power meters , so it measures power , vice decibels, in power amp signals. I just want to point out the difference in the indicated-metered signal. ahhh jomark911 is here ti kaneis?? wich means , i'm fine how about you. Still waiting for japs to ship my 929, come on guys.. my patience is running out. Since 2005, but it does not spin records.